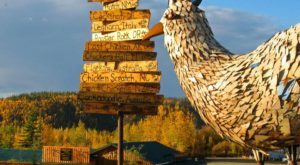 Alaska really shines during the holidays when most of the state is guaranteed a white Christmas. 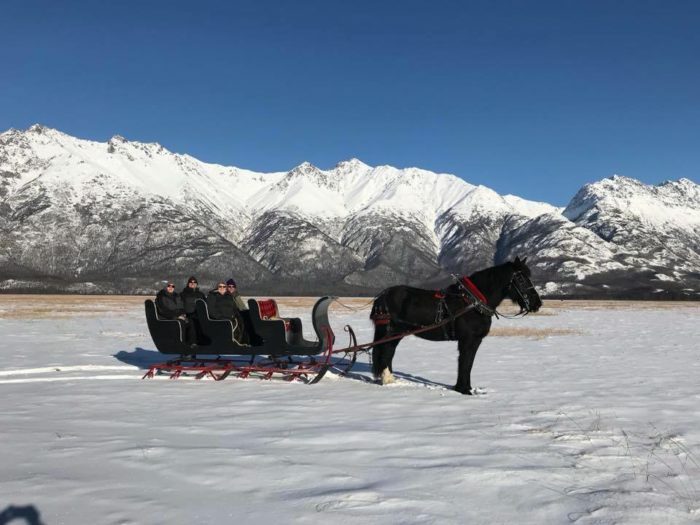 Residents find many ways to enjoy the fluffy piles of snow, and a holiday sleigh ride is an absolute dream. 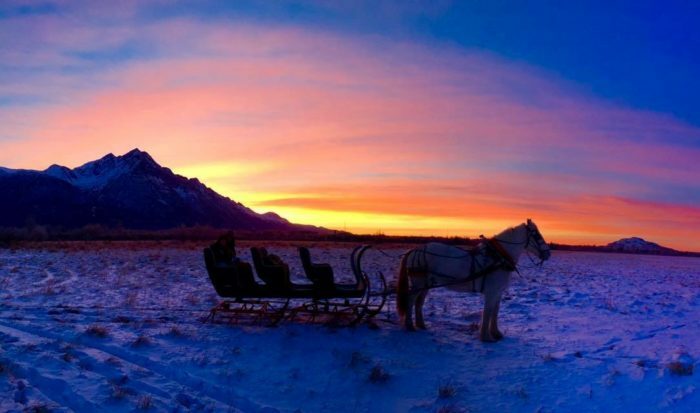 Head to Palmer for a perfect winter adventure and go dashing through the snow on an actual one-horse open sleigh. 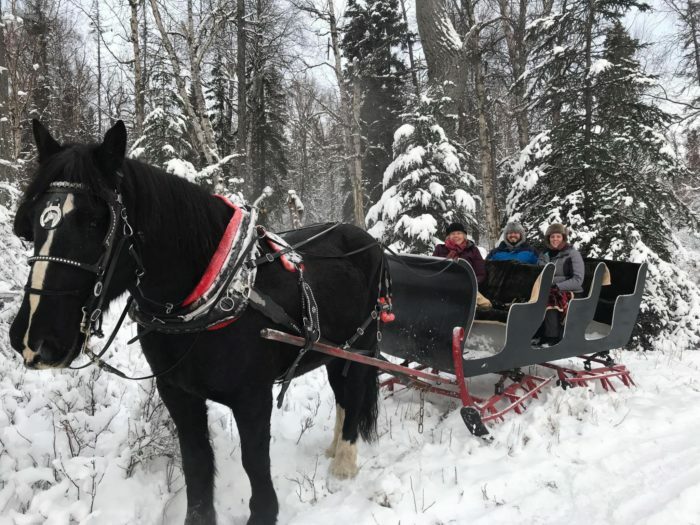 Alaska Horse Adventures offers sleigh rides to make all your holiday dreams come true. 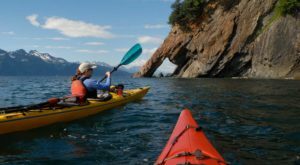 The friendly folks at Alaska Horse Adventures are by all accounts kind and flexible, making sure your adventure works for you and your group. 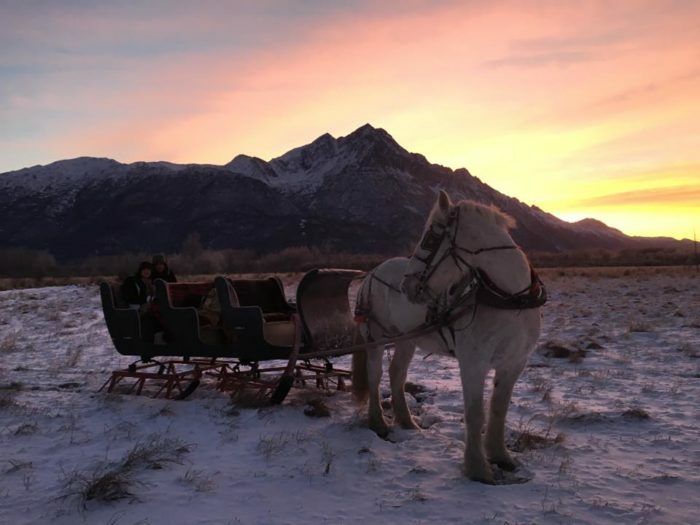 Bundle up together in the classic one-horse open sleigh. 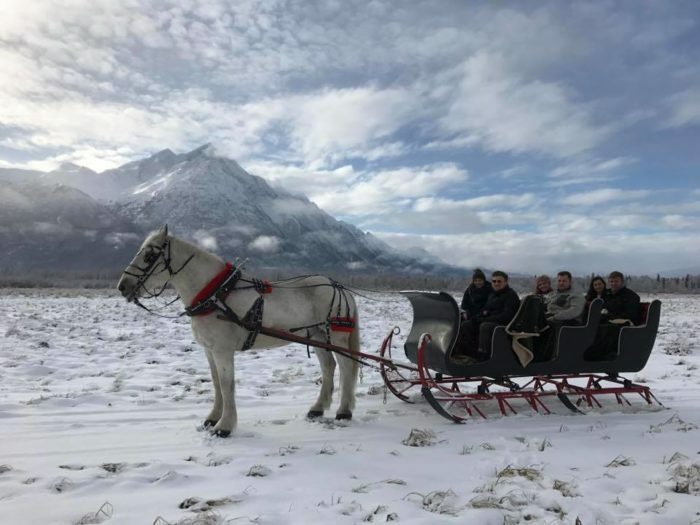 The sled is spacious and can accommodate up to 6 adults per private tour. The skilled horse trainers will take you on a 50-minute ride through the countryside, heading through a wooded area out to an open expanse. They have rides available on the hour beginning at noon with the last ride at 6 PM. 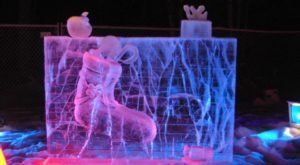 They book up fast, so schedule your sleigh ride online before you go! 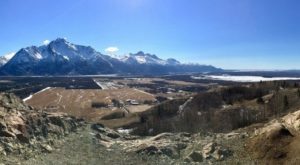 The best part of the ride is when you arrive at the open area with beautiful, sweeping views of the surrounding mountains. 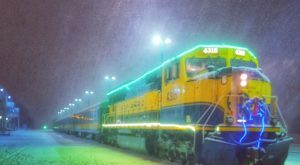 There are great opportunities for photos! 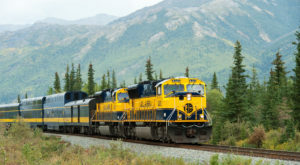 You can take beautiful shots of the wilderness views and have the driver take some of you and your friends. 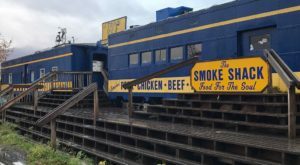 They also have the "Great Alaska Date Night" which includes a sleigh ride, an elegant dinner, a stay at a nice hotel and breakfast in the morning. Treat your special person to this holiday delight. 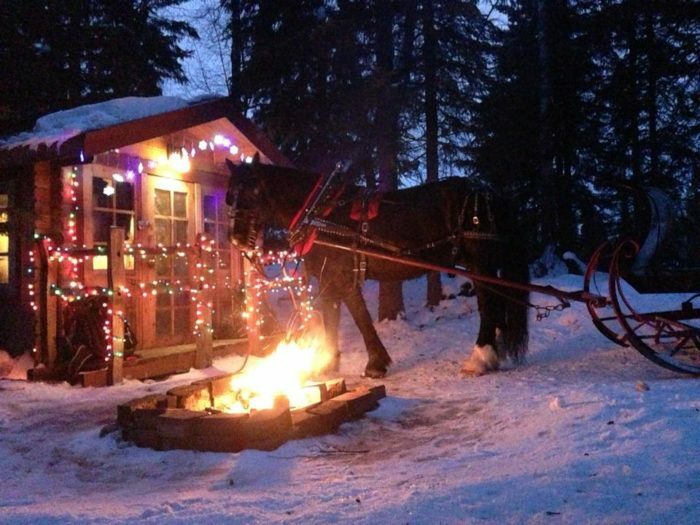 When you arrive back at the base camp, everyone can enjoy hot cocoa in the warm-up cabin. You can also bring your own marshmallows to toast over the open fire pit for a perfect ending to a magical day. 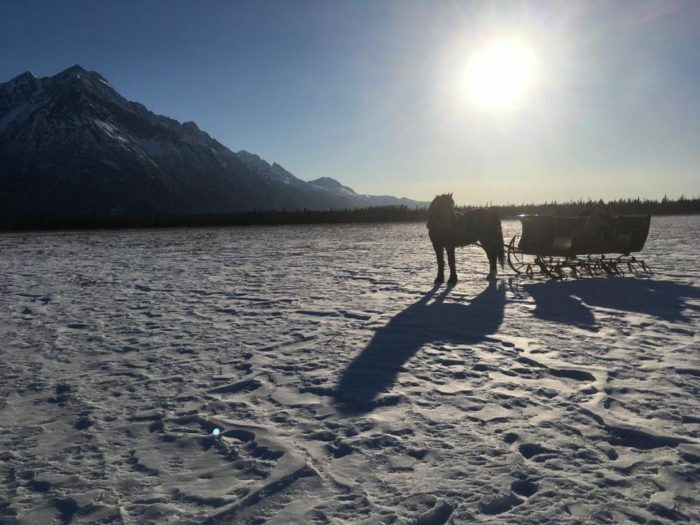 You can book a sleight ride individually, in small groups, or rent the whole sleigh for a private tour. Large groups should contact them for special bookings. 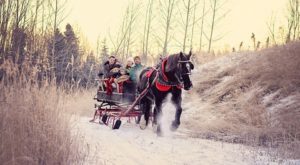 Go for a sleigh ride this holiday season for a wonderful way to see the beautiful Alaskan winter views in the Valley. You'll love every second of this unforgettable holiday adventure. 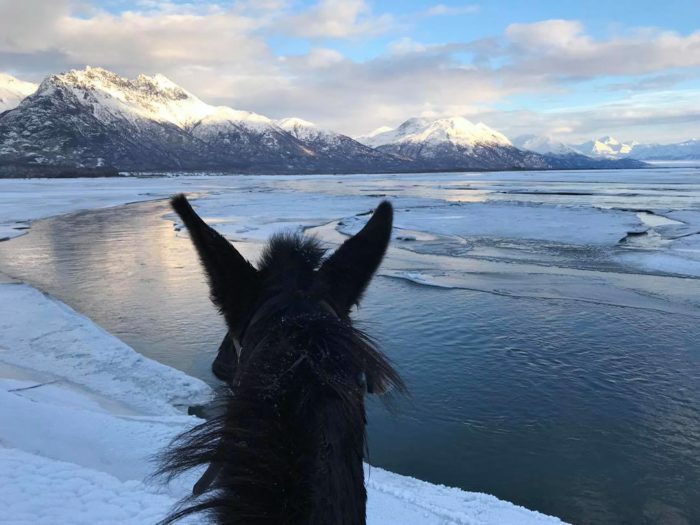 If you’d rather ride in the summer, Ride A Horse Down A Beach In Alaska For A Dream Come True. 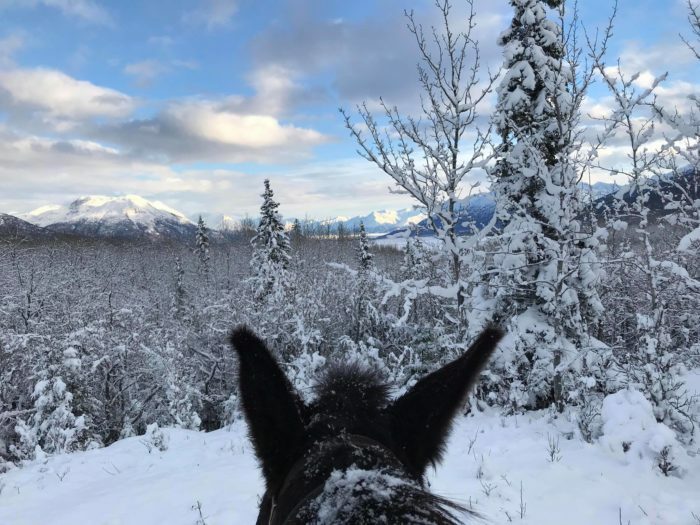 Or for something a little more intense, The Winter Horseback Riding Adventure In Alaska That’s Pure Magic. 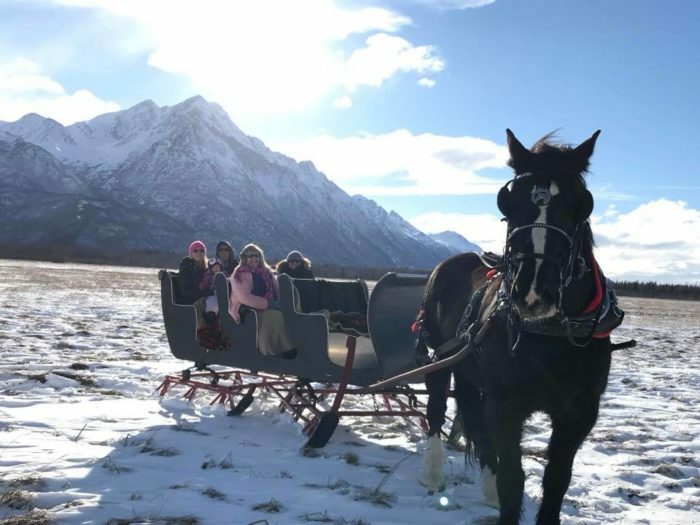 Have you been on a sleigh ride in Alaska? Tell us about it in the comments below.